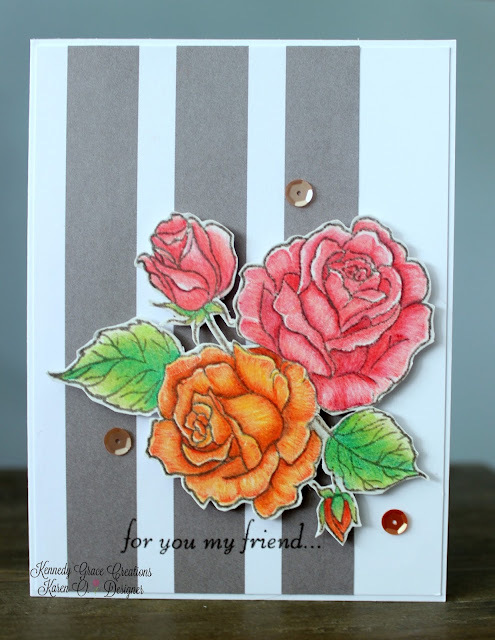 Its Karen on the blog today sharing a card using Splendid Roses coloured a little retro. I used pencil to colour the roses choosing orange and pink a classic retro combination. Its fussy cut and simply placed on top of a grey and white stripe to give it some impact. I then aded sequins from the Mocha Vanilla Latte mix.